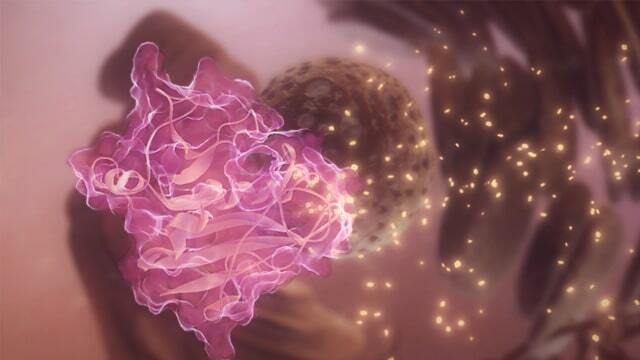 This 6-minute animation examines the mechanism of action of ALIMTA, a new cancer drug used to treat malignant pleural mesothelioma. Pemetrexed for injection, ALIMTA is a multitargeted antifolate that disrupts multiple folate-dependant processes. The goal of this project was to create a better understanding of folate metabolism and the process of multitargeted antifolate therapy. This sequence discusses the process of folate metabolism, which is critical to the growth and progression of malignancies, such as advanced metastatic non-small cell lung cancer.